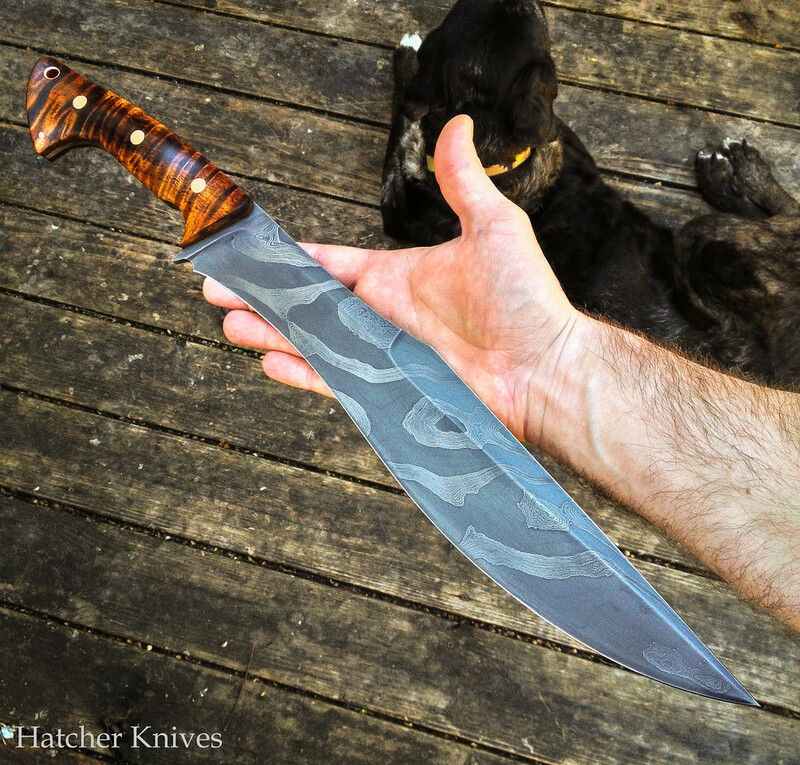 This is a collaboration project that I made with my friend Branwell McClory of Straffan Forge. 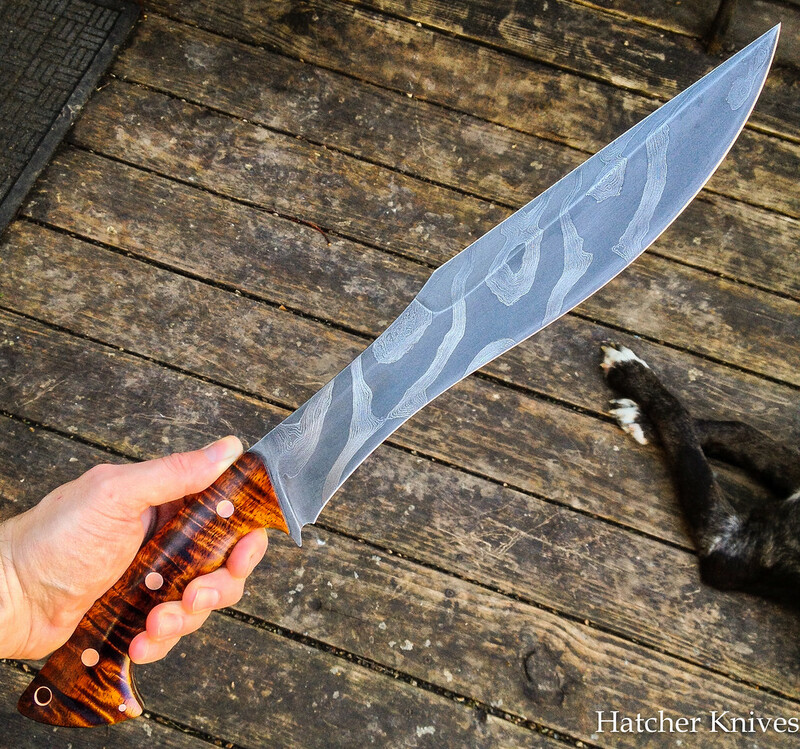 I sent Branwell a few concept drawings, from which he chose one to forge in his incredible high-count/low-count twist damascus. 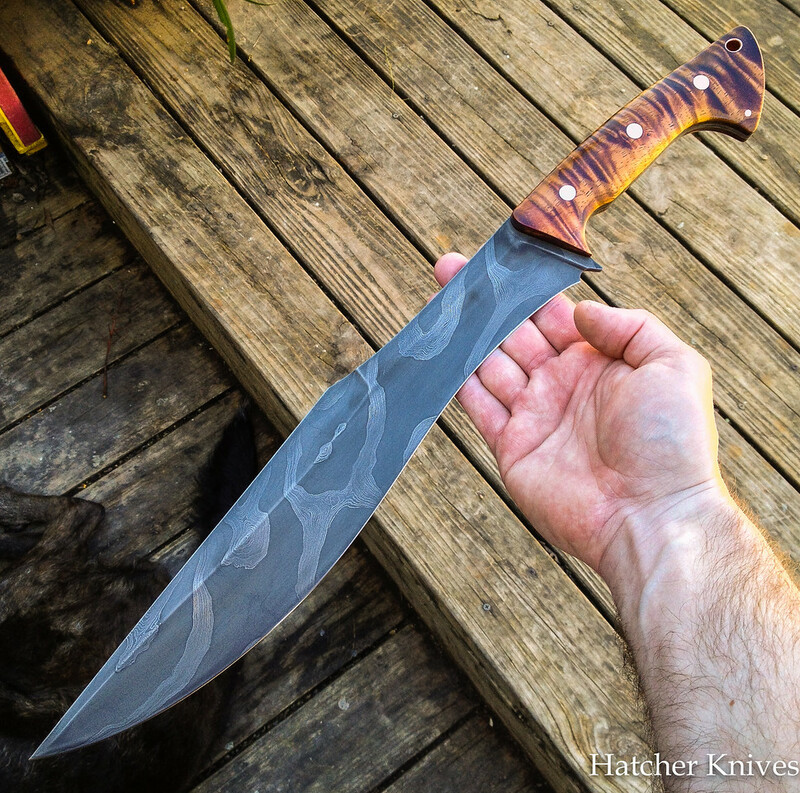 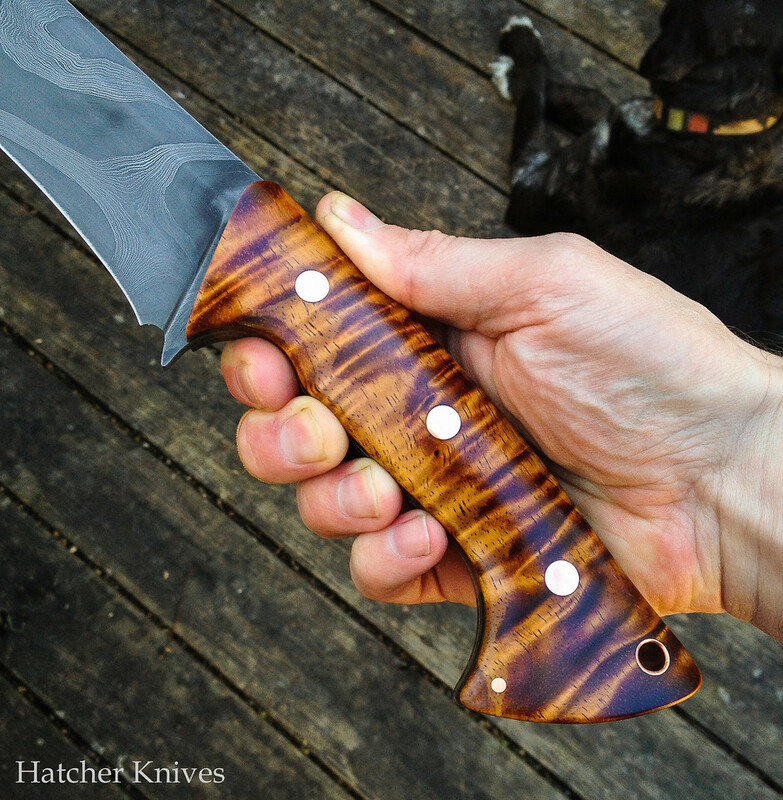 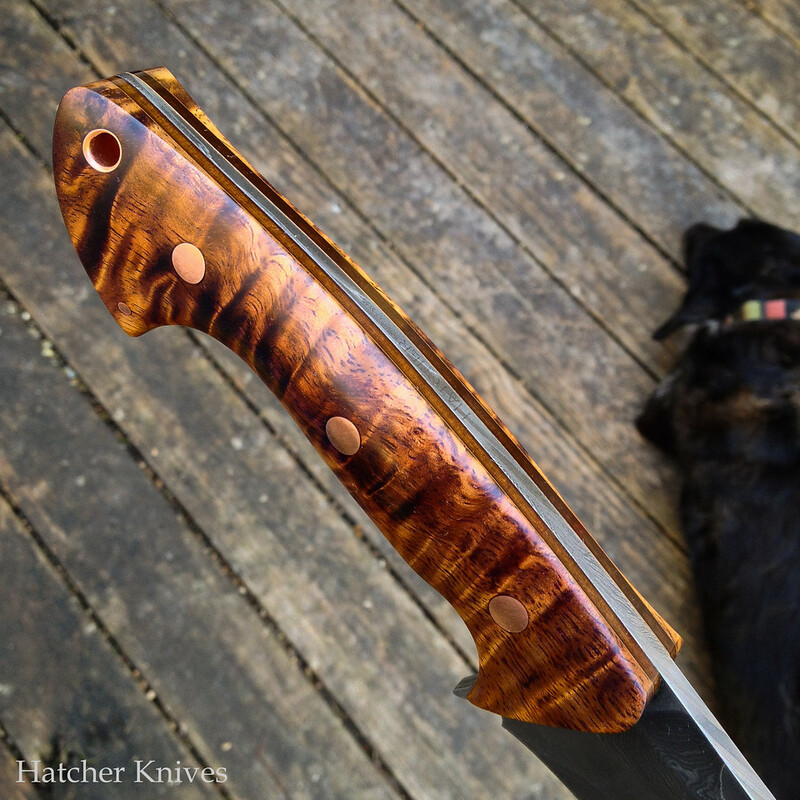 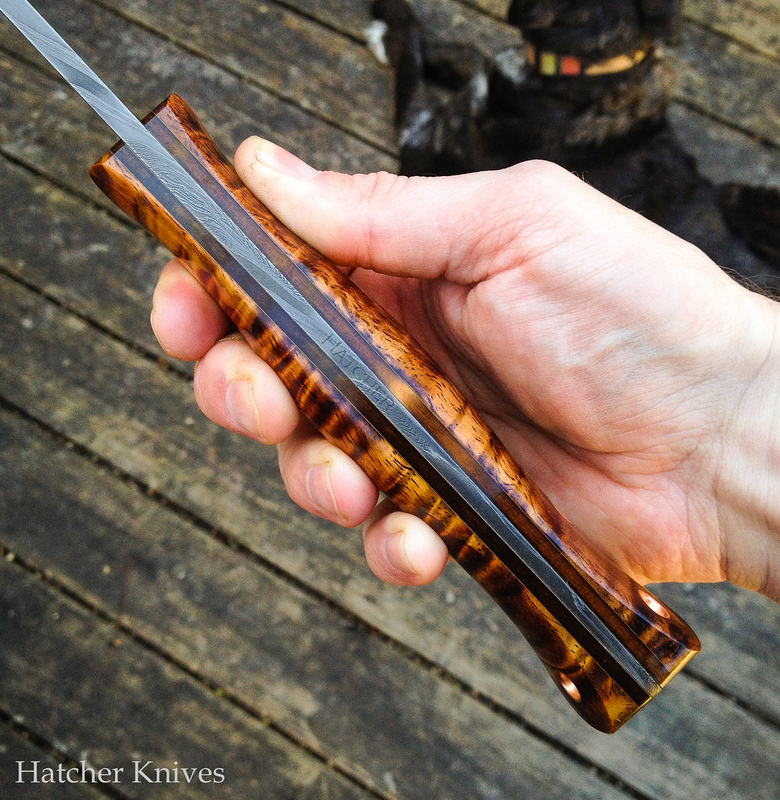 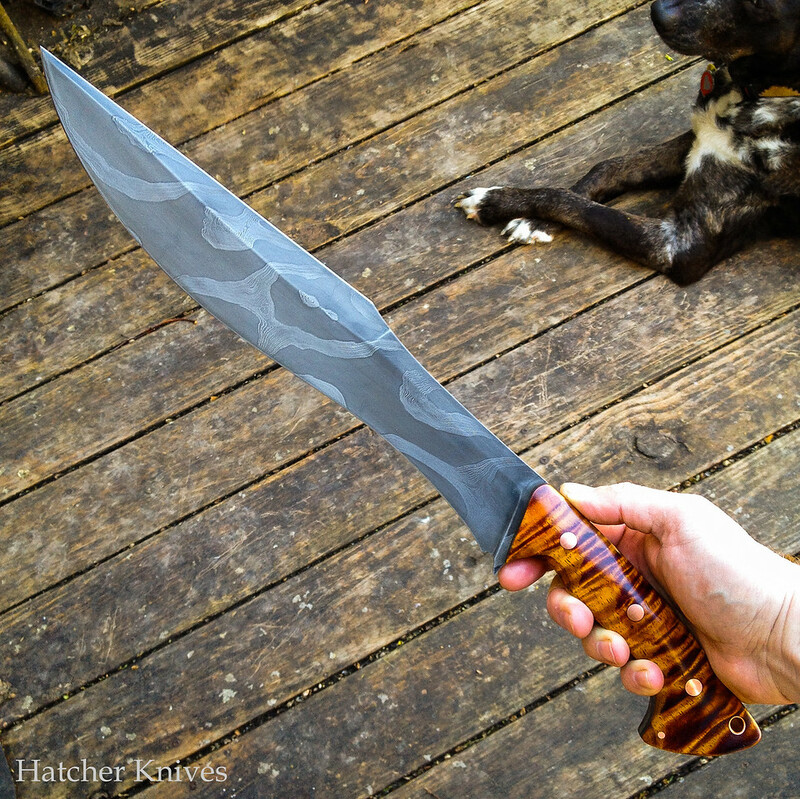 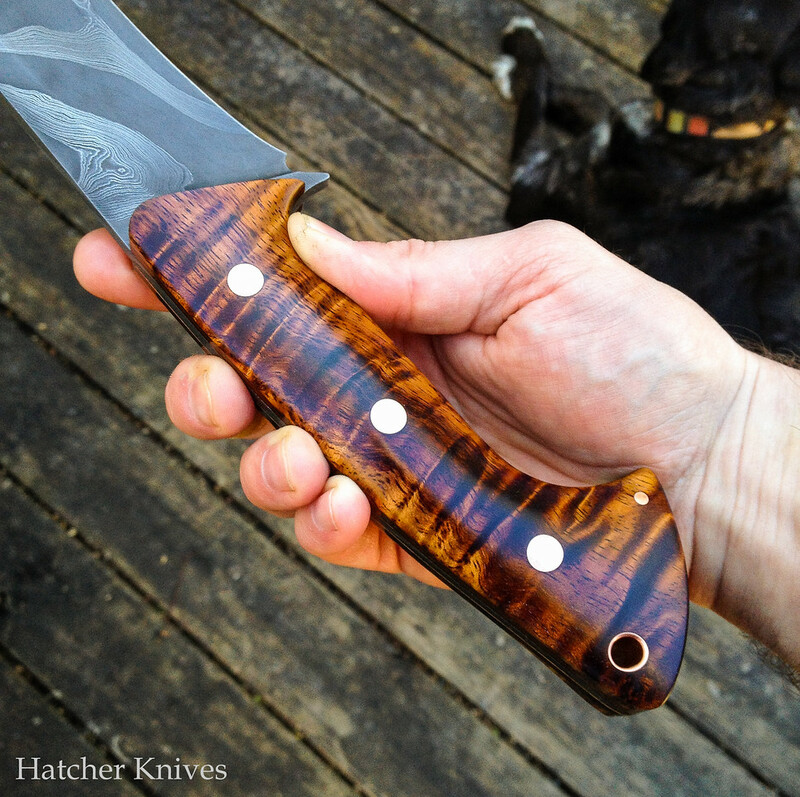 He then sent the knife to me for grinding, heat-treating, and finishing. 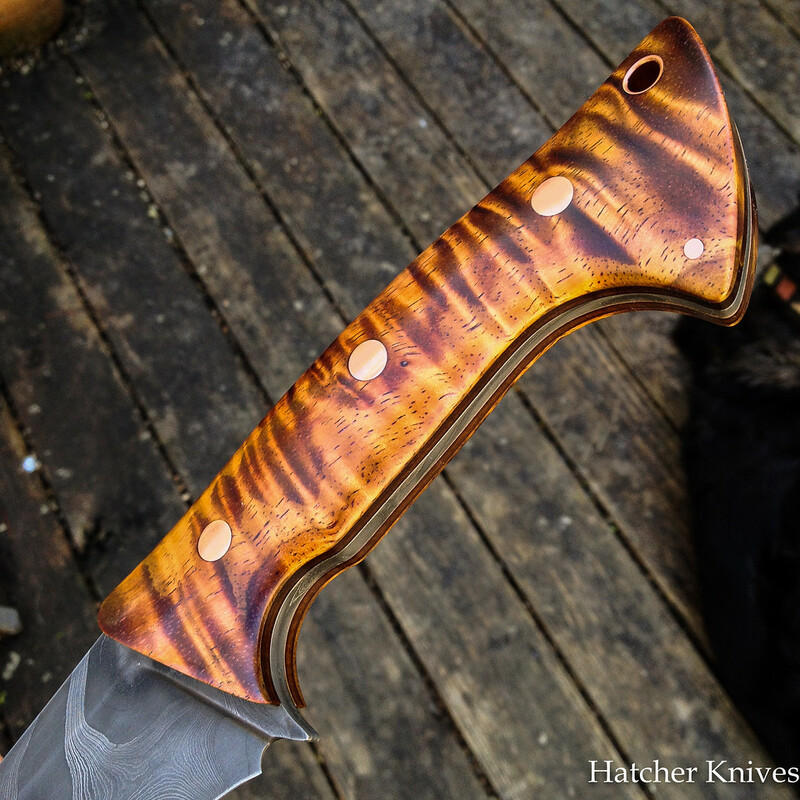 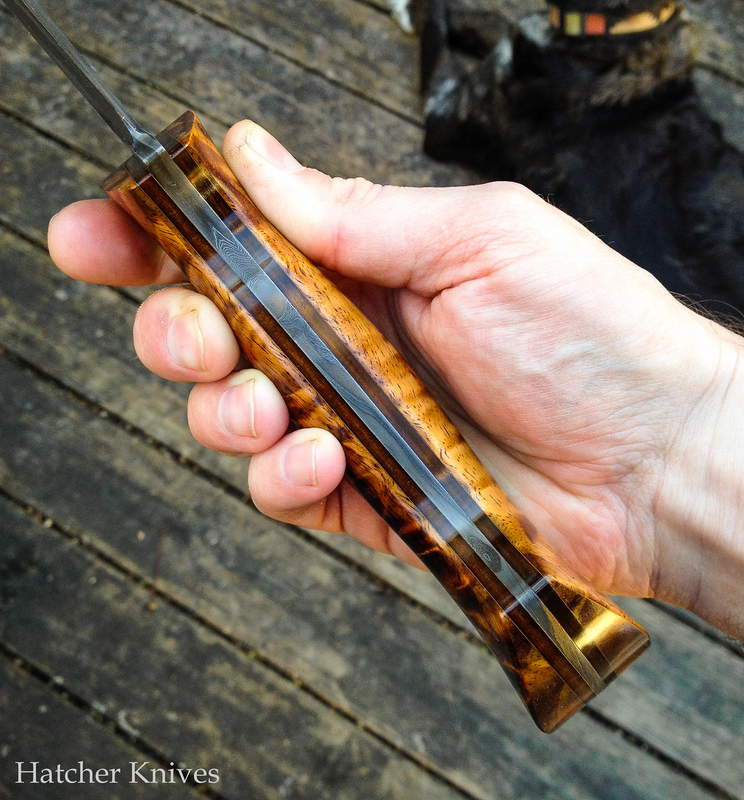 The koa is from another good friend, Pete of Petes Koa Customs.